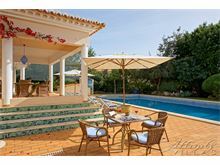 Set in the prestigious Clube Carvoeiro development, just a short stroll from the tennis club, Casa Vale da Lapa offers total seclusion set in wonderful private manicured gardens. The emphasis is on both quality and space inside and out. All bedrooms are en suite, and the large living area opens out on to the substantial covered terrace overlooking a very generous 12 metre pool. 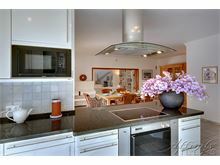 The interior is cool and modern with a fantastic kitchen dining area separated by oversized sliding glass doors from the living area, giving a cool contemporary feel. The beautiful gardens are packed with mature shrubs and palms with plenty of shaded terrace for al fresco dining and if you can drag yourself away from this delightful villa Carvoeiro centre with its abundance of restaurants, bars and beaches is just a couple of kilometres away. Approximately 750m from the tennis club where there are floodlit outdoor courts, gym, fitness classes, hair salon, restaurant and bar. 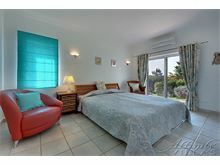 Approximately 2kms from the nearest beach and Carvoeiro centre and shops. 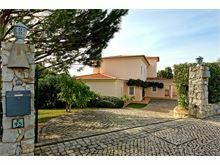 Drive with electric gates, flanked by flower borders leads down to the villa. Sitting room with limited English channels, CD player, guest cloakroom, dining room/kitchen with dishwasher and microwave and two fridge/freezers, 2 twin bedrooms (twin mattresses on double bases), each with a shower room en suite. Upstairs to the master bedroom with an electric adjustable bed and wide screen TV and balcony and huge bathroom with separate walk in shower and sunken bath. Air conditioning in all bedrooms and Wi-Fi are at extra cost if required. Maid service once per week. Car hire recommended. This was a wonderful holiday made very special by the lovely villa in Carvoeiro. It was everything that the description on your website described and so much more. The gardens were beautiful and we woke to birdsong every morning, it was very relaxing to sit on the terrace and listen to the sound of just the birds and nothing else! 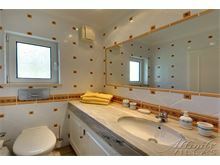 The amenities in the villa were exemplary - especially the coffee machine. We have a similar machine at home and it is always disappointing when you go on holiday and have to make do with instant but not this time - what a joy!! Thank you so much we will definitely be booking with you again. This is the second time we've stayed at Vale de Lapa and it was even better than we remembered. 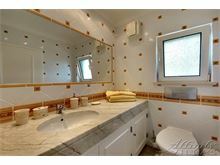 It has everything you could want from a villa and has added extras such as fantastic coffee machine and filtered water tap. The pool is massive and is set in beautiful gardens. We would definitely recommend this villa to others. Had an amazing stay at the villa on our first family holiday. 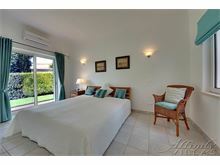 Quiet location, secure gated villa set in beautiful gardens not over looked by other villas. Sun on the pool area all day and into the evening sun set. 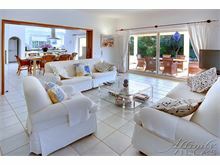 This villa is of a very high standard and in easy walking distance of Carvoeiro. Anyone renting this accommodation will not be disappointed. 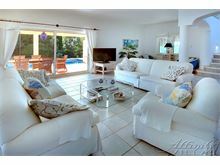 Excellent spacious villa with a lovely pool and a large beautiful garden. Not overlooked at all, in a quiet location. The perfect place for a relaxing holiday. We love this villa, having stayed several times and we hope to again in the future. Have always had great service from Affinity and the House Managers of this and other properties. We stayed at this lovely villa with our adult son, daughter and her partner. this villa has everything you could possibly need. 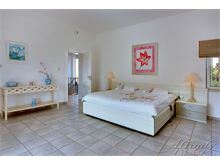 Our master bedroom was wonderful, so spacious, with a large walk in wardrobe and large, extremely comfortable electric bed. We spent most of our time outside on the terrace, where we used the barbecue when we ate in, but the sitting room was very comfortable. 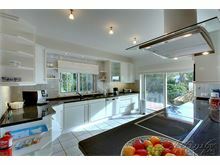 The kitchen is superbly equipped and well laid out with lots of fridge/freezer space. There is plenty to keep everyone occupied, a new Table tennis table, games and plenty of books. 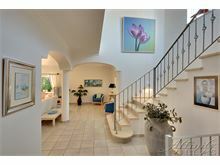 This villa has a beautiful, large pool and we spent much of our time in and around it. 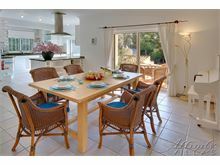 This villa feels like a much loved private holiday home and it was a privilege to share it. We thought the villa was beautiful & very true to its description. The villa manager was excellent, very helpful & friendly. Villa was everything I expected having been with Affinity Villas before. The Villa was superb and we were greeted by the House Manager who explained everything within an hour of our arrival. Pool to die for !! Stayed for two weeks with three generations for family holiday. 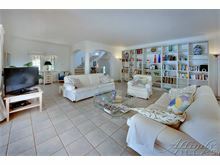 House is large, well stocked and very comfortable. Gardens are beautiful with nice views and very quiet. Great supermarkets and restaurants within short driving distance.